To stay ahead of the latest brand and marketing trends, Long & Co travelled to Boston in September to attend Inbound 2018. You might recognise your own goals in the chart below. When asked what the key marketing priorities are for the next 12 months, companies said they are focusing on leads and traffic. Insight: One way of generating leads and traffic is to attract people with good content in social media and lead them to your website for further engagement and email nurturing. Trouble is, more businesses are adding more budget to precisely this approach. Its increasingly cluttered out there. Choose quality over quantity. People are busy. They’re bombarded. They’re ghosting. Businesses are reporting their prospects are harder to get a response from. It’s increasingly common their prospects simply stop engaging mid-way through a process (ghosting). Now what? It’s harder to get attention and convert. Insight: Your prospecting strategy needs to become more sophisticated. Rather than blasting broadly, go narrow. Who will be more likely to be receptive to your proposition? How can you add value to them? Remember, you’re not the hero – your customers are. You are there as a guide. With all the clutter out there, we trust who we know and what we can glean as reputable sources of information. It’s simply too hard to decide cold. Insight: Warm up prospects and encourage referrals by doing a great job, earning your endorsements and adding value. Inbound is both a marketing conference and a marketing philosophy. Lets cover the marketing conference first. 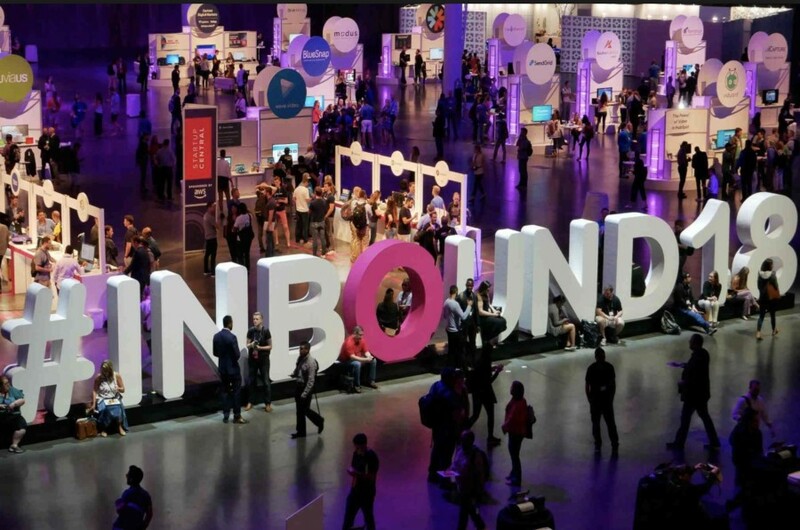 This year Inbound attracted 24,000 marketing professionals and featured keynotes from the likes of global author and speaker Deepak Chopra, LinkedIn founder Reid Hoffman and New York club promoter turned non-profit charity founder Scott Harrison. Inbound is also a marketing philosophy. It figures it is more effective to attract the right people at the right time, rather than anyone at random. You want the right people visiting your website or contacting you, because they are more likely to become a lead. Cathrine Long at Boston’s Inbound Marketing Conference. Thinking about attending next year? Secure your ticket by April 2019. The conference is in September 2019. Book your plane ticket and accommodation 3-6 months in advance to get good value. Seaport Boston is a hotel directly across the street from the conference centre. Download the Inbound App and schedule your favourite events. Don’t bypass the ‘less famous’ speakers. 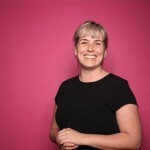 They are often even more practical and relevant for small to medium businesses than the real big ones. Bring a cardigan or jacket, the event space is freezing! Hit up conversations with fellow event-goers. There is amazing talent in the room – they are good LinkedIn contacts to stay in touch with after. See Boston: It’s an historic city. Lean into one of those guided bus tours and be reminded of why the Boston Tea party threw a ton of tea into Boston harbour. New York is only 4 hours away. Do it. The art, culture, food, people – its NY! Talent: We caught up with 3 amazing New Yorkers who are building their business in the big apple. Stay tuned for insights from a NY ad agency executive, a media power broker and an entrepreneur who is risking everything (and killing it!). This is all coming up on Long & Co soon. *Feature image of Inbound 2018 from Hubspot.